Another Monday is upon us. I am not a Monday person, I enjoy my weekends and the time I actually get to spend with my family. My husband works longer hours so we don’t get to see him as much as we used to so the weekends are a big deal around here. It’s more of less when things get done. Well I get stuff done during the week, but besides cooking and cleaning, the weekends are for groceries, house projects family outings, etc.. Whomever decided that the weekends should just be two days can kiss my you know what Lol, just kidding. This weekend we had my daughters 2nd and my sons 7th birthday parties. It’s nice having kids with birthday’s close together. My son’s was on the 11th and my daughters will be on the 18th. My other 2 boys are 2 weeks apart so we do a dual party for them also. So much easier for family to travel once then every week or 2 for all these parties. Darn me for having so many kids, haha. It was a good weekend though. My kids had a blast, and there was good food. Speaking of food, we had a taco bar and cupcakes. 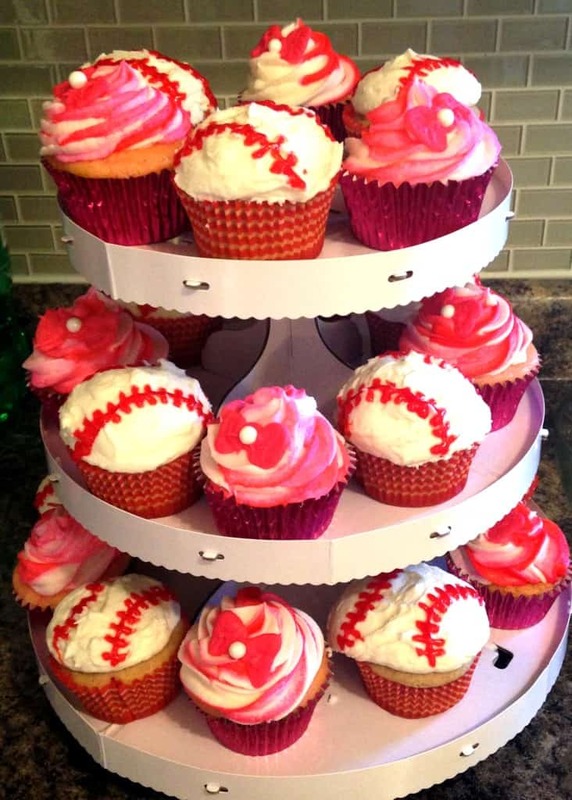 The requested cupcakes this year were baseball and hello kitty. It think they turned out cute, and they were delicious! And who doesn’t love tacos. I highly recommend doing a taco bar for parties. Besides tacos we had small bags of Doritos for tacos in a bag and we also had our quesadilla maker (amazing) for anyone who choose to have those. Along side this taco bar I made my Mexican Sour Cream Rice and this amazing Raspberry Sherbet Punch. 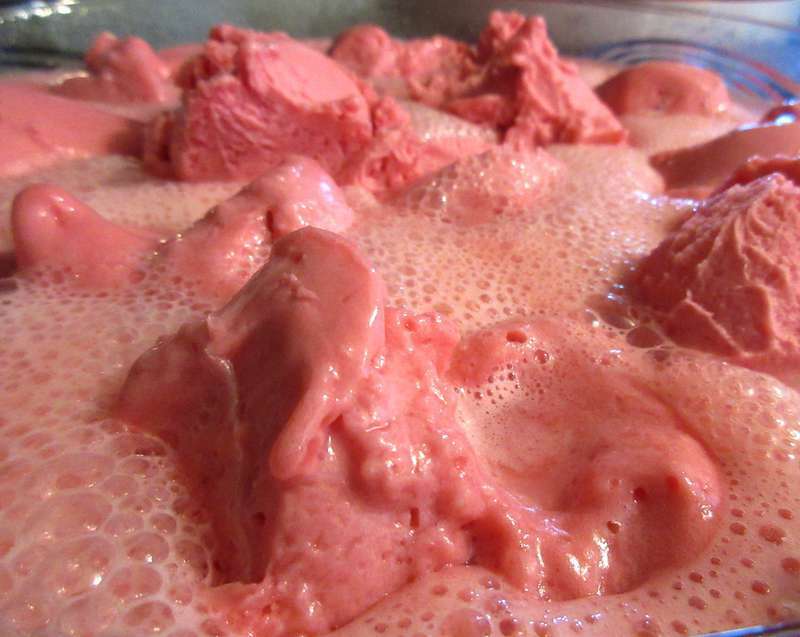 I love punches that contain ice cream! They make them so light and fluffy and give them a creamy flavor that is my favorite. This recipe is seriously simple. You can also play around with different flavors as well. 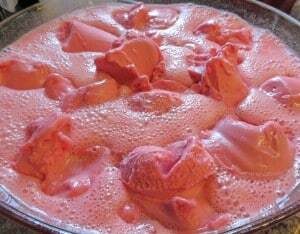 Mine uses pink lemonade, sprite and raspberry sherbet. 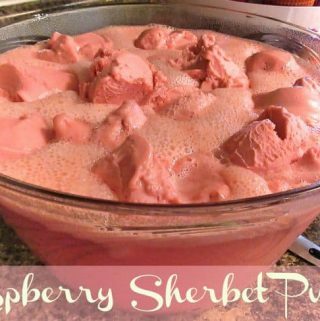 There are so many different flavor combinations that you could create by switching up the sherbet and the juice, but this one is my fave! So I hope you enjoy just as much as we did! In punch bowl mix together your lemonade and Sprite. 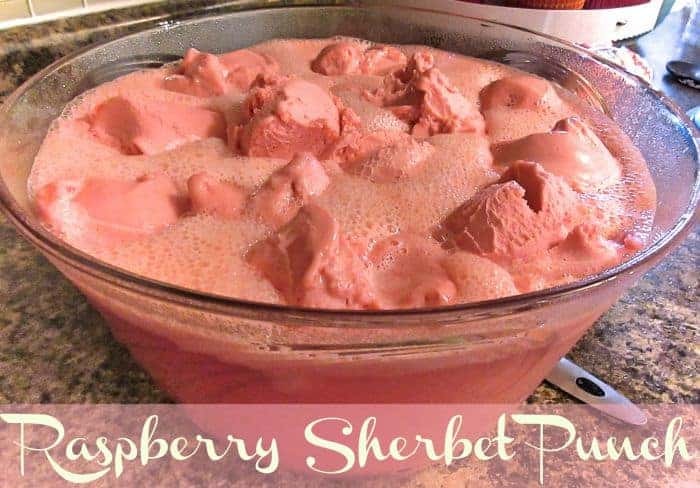 Add sherbet to top using ice cream scoop. Your cupcakes turned out so cute! Taco bars are one of my family’s favorites as well. Everyone loves them and you can feed an army. I’d be very happy with your punch and some tacos! Thanks Carlee. I was so happy to decorate my cupcakes because I had finally bought my large star tip!! This punch tho, yum for real. Thanks for stopping! Visiting from the Wonderful Wednesday Blog Hop. Your punch sounds delicious. I love that it is so simple to put together too.